My nails have been very brittle due to the cold weather. No matter how much I moisturize my nails keep chipping away. I decided to cut my nails down to nubs and start fresh. My shorites are making their first debut today! 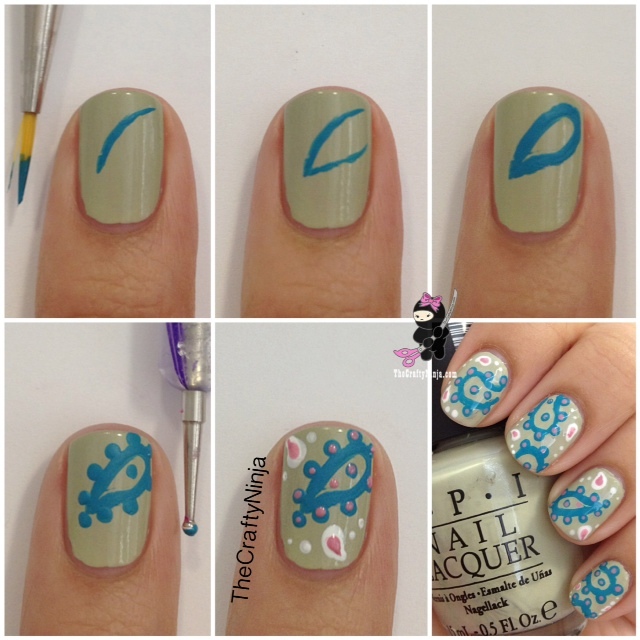 Check out this new short nail tutorial on paisley print inspired nails. The nail polishes I used are: OPI Where’s My Bikini Top?, Sinful Colors Savage and Starfish, and Wet n Wild White in 449C. I also used Matte Envy base coat, Thin paint brush, Acetone, and Seche Vite.